How to save multiple iPhone backups without overwriting the old ones? 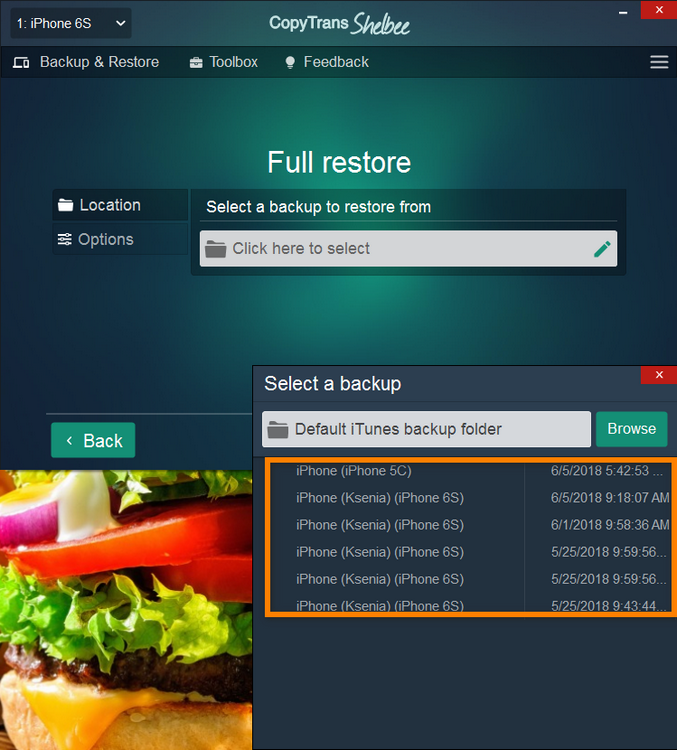 Home » How to save multiple iPhone backups without overwriting the old ones? iTunes keeps only the latest iPhone backup for any given device. Each time you sync or back up iPhone or iPad, iTunes overwrites the previous backup potentially leading to important content being lost. You are especially concerned if you back up iPhone regularly or when you accidentally back up your newly updated empty iPhone. Don’t wait until you need to pay hard cash to recover lost iPhone content. This article explains how to back up iPhone without overwriting the previous backup, at any time and for free via CopyTrans Shelbee. 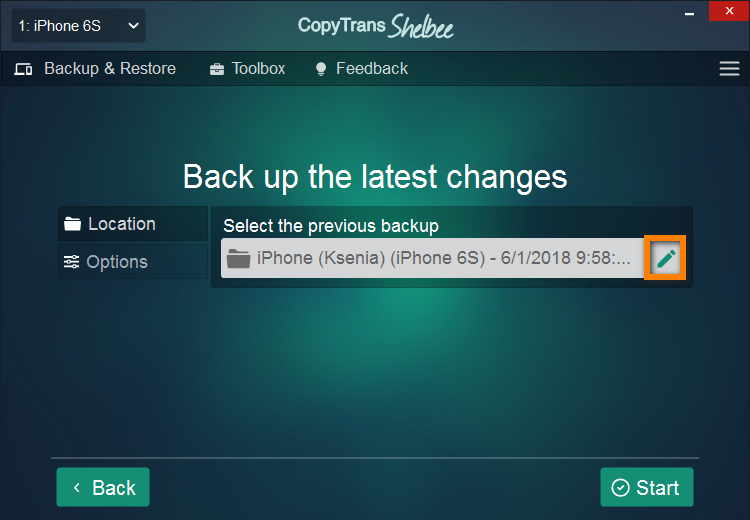 Start CopyTrans Shelbee, connect the iPhone and click on “Backup”. On the next screen, click “Full backup”. Now select the place where to save the backup. Select a location other than the default iTunes folder by clicking on the pencil symbol. By default this is the same location where iTunes keeps iPhone backups on your computer, but unlike iTunes, CopyTrans Shelbee allows to save the backup wherever you want. 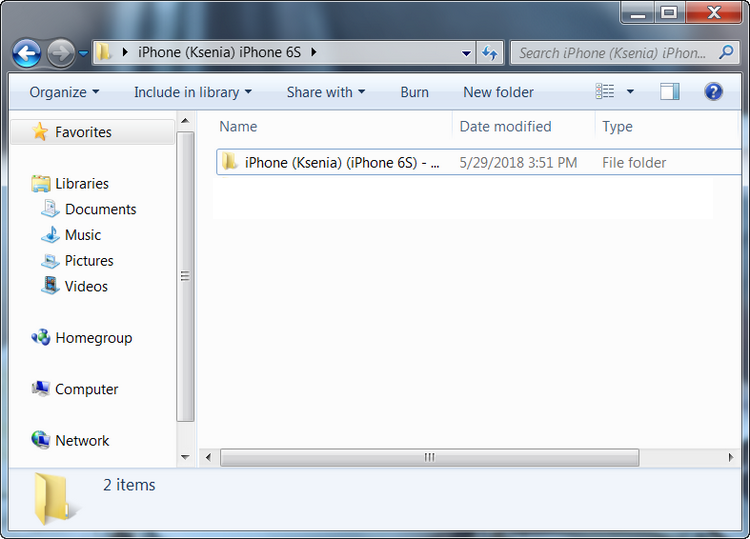 The iPhone backup begins while the previous backup remains unchanged. That’s pretty much it, click “Done”. The new backup is created at the place of your choice, away from the previous backup made by iTunes. 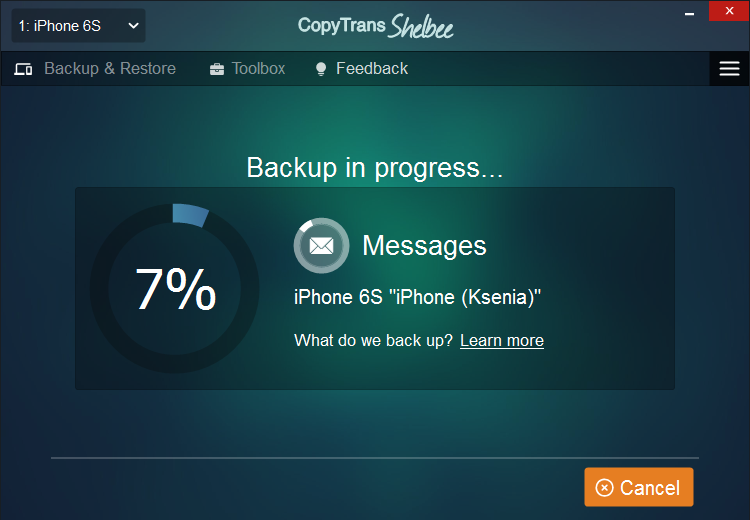 We recommend using CopyTrans Shelbee’s “Latest changes” feature for your next iPhone backup. “Latest changes” backups don’t overwrite old iPhone backups, take up less space and are quicker. 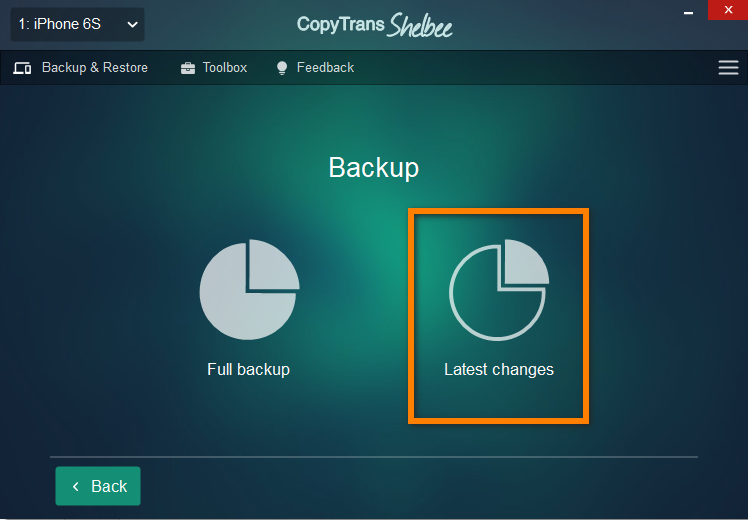 Run CopyTrans Shelbee and click through “Backup” > “Latest changes”. Click the pencil symbol to select the previous backup on which to base the new one. 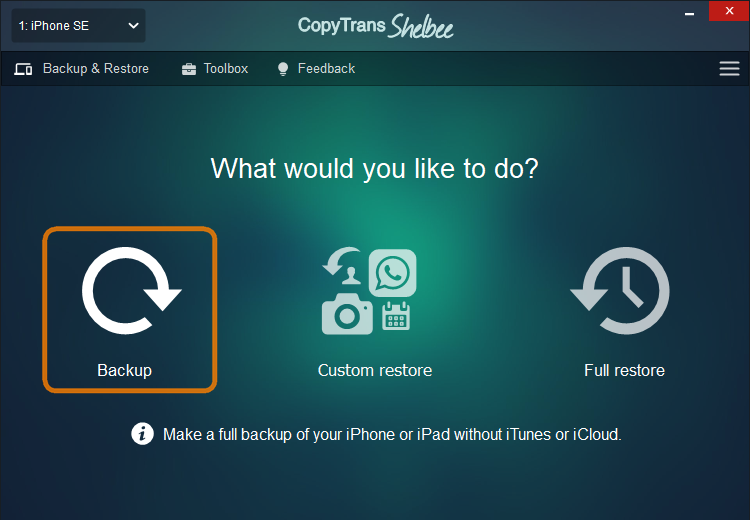 NOTE: You need to have made at least one full backup with CopyTrans Shelbee to use the feature. You can make as many “Latest changes” backups as you wish and whenever you want. Both the previous and new iPhone backups are stored at the location of your choice. When the time comes, you can select to restore from any of the backups you made. NOTE: We recommend selecting the backup entry dated most recently. This way, all iOS content and most recent changes made until the date of the entry will be restored back to the iPhone. You only need to restore once. This is how to save multiple iPhone backups without overwriting the old ones.